We don’t know about you, but we’ve always thought J.R.R. Tolkien’s novel The Hobbit was missing something. Sure, it’s a hugely successful, classic book with amazing characters and visuals. But we still feel like something is missing. What is that something you ask? A love story. Apparently, Peter Jackson thinks so too, at least according to the newly released trailer for part two of his The Hobbit big screen trilogy. Thank goodness as it gives Orlando Bloom and Lost alumni Evangiine Lilly something to do besides shooting orcs with arrows. But wait, there’s more. 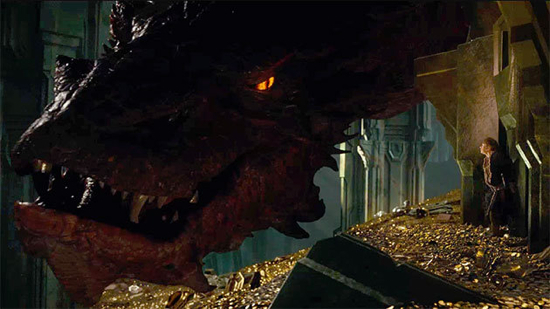 We also get a glimpse of what we think is probably the more important character in this tale: Smaug himself. Yep, there be dragons (well, one anyway) and he looks pretty cool. Still not convinced this had to be three movies but we are convinced that nobody does Middle Earth like Peter Jackson. So, benefit of the doubt extended. Check out the trailer after the break. (and yes, we’re joking about the love story). This is going to be one of those films that either finds it’s very specific audience, or will go down as the less remembered cinematic soul mate of The Brothers Grimm, either way this film has an up hill battle to wage this January. Catching up with Hansel (Renner) and Gretel (Arterton) 15 years after the traumatic incident involving a gingerbread house, the siblings have evolved into vengeful bounty hunters dedicated to exterminating witches. Over the years, the siblings became expert hunters, famous for their proficiency at tracking and taking down their prey. Although still recovering from their ordeal, their work is relatively easy as for an unknown reason harmful spells and curses do not work well against them. The Mayor of Augsburg recruits them to rid the town and nearby forests of an evil sorceress (Janssen) who is planning to sacrifice many local children at the witches’ gathering during the upcoming ‘Blood Moon’ night in two days time. To make things worse, the duo also has to deal with the brutal Sheriff Berringer (Stormare) who has taken power in Augsburg and conducts a very indiscriminate witch-hunt of his own. You can see the new trailer after the jump. Rome was an incredible show on HBO. 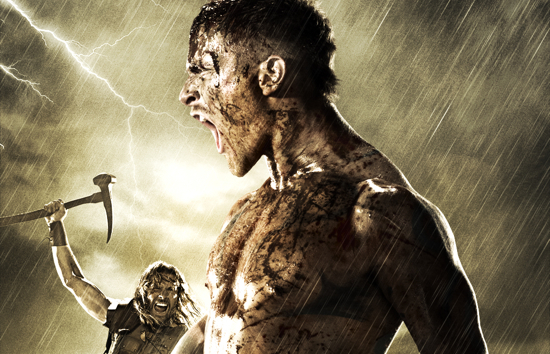 It was big, it was bloody and it was epic. In a lot of ways it was a spiritual forebearer of Game of Thrones, which is currently the best thing ever. So there is a nice symmetry in the most recent casting addition to Thrones season 3. The Rome actor has been cast as Wildling leader Mance Rayder, the King Beyond the Wall. Rayder has united the disparate clans of the Far North behind a single mission: To attack The Wall. He’s been frequently referenced (though unseen) in the HBO hit fantasy drama’s first two seasons. Ciarán Hinds has some serious gravitas, so the show might regain some of the heft that has been missing since the dear departing of the one and only Sean Bean. Not content to just bring in Caesar to the world of Westeros, Brutus from Rome has previously been cast in a prominent role in the next season as well. Et tu Brute indeed! Keep your eyes peeled to The Flickcast for any more updates that spill from the upcoming filming of the new season of Game of Thrones. Wow, leading up to comic-con this concept was inconceivable. Take the already stretched tale of The Hobbit and transform it into a trilogy, to paraphrase Bilbo, it seemed like an idea that make the story feel like butter spread over too much bread. Go visit Jackson’s page for the whole note to the fans, it goes a little deeper into the why of this decision. So there you have it, The Hobbit is officially a trilogy. This is an interesting turn of events for one of the most anticipated films of this and next year. We need some processing time to decide of this is wonderful or treacherous news. Stay glued to The Flickcast for a more in-depth reaction and any new news regarding the new, third, Hobbit film. 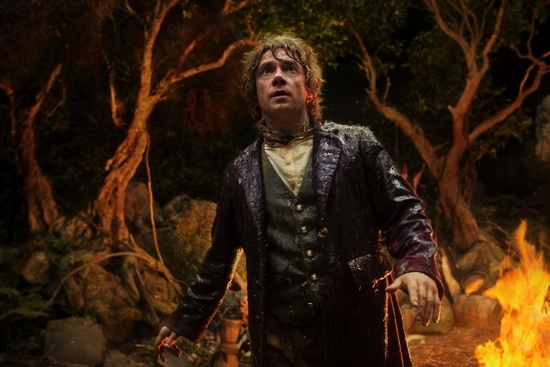 Is Peter Jackson Really Consider Stretching ‘The Hobbit’ To Three Films? The Lord of the Rings trilogy is one of the greater trilogies in film history. Famously there is a story about Jackson originally pitching the adaptation as two movies. The eventual producer of the films heard the pitch and asked if there were three books why not make three films. Warner Bros., Jackson, producer Fran Walsh and writer-producer Philippa Boyens began exploring the logistics of what it would take to make another movie. Those talks are said to have accelerated in recent days, with the studio on board if the right financial arrangements can be achieved. That includes securing new actor deals for the expansive cast as well as shoring up certain rights associated with the property. Of course certain novels benefit from being told over nine hours instead of three or even six, but not necessarily The Hobbit. Tolkien’s first middle earth book is smaller and simpler in size and scope from each part of the Lord of the Rings series, so some serious padding needs to take place. Stay glued to The Flickcast, as any ultimate decision that comes down about this will have to happen pretty soon. Sure The Avengers was great and The Dark Knight Rises has a couple of people interested in checking it out, but the real big boy of the 2012 movie year is The Hobbit. Peter Jackson’s Lord of the Rings films have managed to become the most successful franchise ever in terms of Box Office, Critical Reception and Award Recognition. So when the first of two prequel movies hits theaters this winter it will be a very big deal. Especially when you consider Peter Jackson using the exposure of the Hobbit films to push a new revolution in picture clarity, shooting both films in a staggering 48 frames per second. So with that in mind take a gander at these beautiful stills from the upcoming first part of The Hobbit. These debuted over at Entertainment Weekly for their upcoming Comic-Con heavy issue. You can’t deny that Peter Jackson has the look of Tolkien’s world down. These images should fill any Lord of the Rings fan with excitement, everything about these movies look like a return to form for Jackson and his New Zealand based crew. Expect The Hobbit to have a big presence at Comic-Con this year, so like always keep your eyes peeled to The Flickcast for any thing juicy out of San Diego. After the jump you can take a look at all the new pictures.